We’ve talked about this before, but it’s time for a reminder. POCUS improves the speed and success of performing ALL lumbar punctures, not just the difficult ones. As per one of the laws of emergency medicine, you will not perform a procedure for months and then get hit with multiple cases on your next shift. I had 4 LPs to perform on my last two shifts and even though I am a POCUS fanatic I admit to not grabbing the machine every time there is an easy looking spinal tap. But I am slowly mending my ways. In my own experience I find that my time to successful tap and incidence of traumatic tap have been significantly improved. This is for someone who trained before the H.influenza vaccine was widely available and did many, many LPs in ill children and adults. Working in a busy community centre, I do almost all my own procedures, and do them often. Yet POCUS has made me better. Those last 4 taps were atraumatic, two done on morbidly obese, two on “easy” patients, and resulted in diagnosing a bacterial meningitis, viral meningitis and tiny subarachnoid hemorrhage missed on first visit and CT scan. And boy was I happy to have a non-traumatic tap on the SAH patient! Just clearly seen xanthochromia and neurosurgical consult. Gottlieb M, Holladay D, Peksa GD. 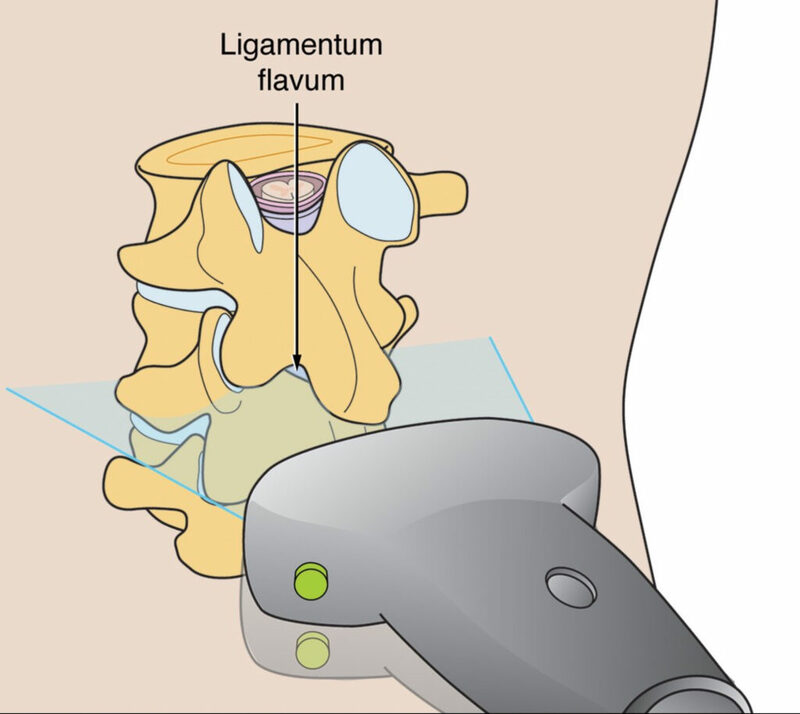 Ultrasound-assisted lumbar punctures: A systematic review and meta-analysis. Acad Emerg Med 2019;26(1):85-96. POCUS LP was significantly more successful than landmark-based LP for adults and children (90.0% vs 81.4%; number needed to treat = 11; 95% CI 6 – 83). Fewer traumatic LPs with POCUS-assisted compared with landmark-based (10.7% vs 26.5%; number needed to scan = 6; 3 – 19). Patient pain scores lower in the POCUS assisted group. POCUS can find you the best spot to insert your needle and tell you the depth you need to go. The EDE2 course has broken down how to perform this scan into simple, easy steps with lots of diagrams and patient images. This is definitely a skill with a reasonable learning curve anyone doing LPs should know. So do yourself and your patients a favour. Learn to use POCUS and take your LP skills to 11. 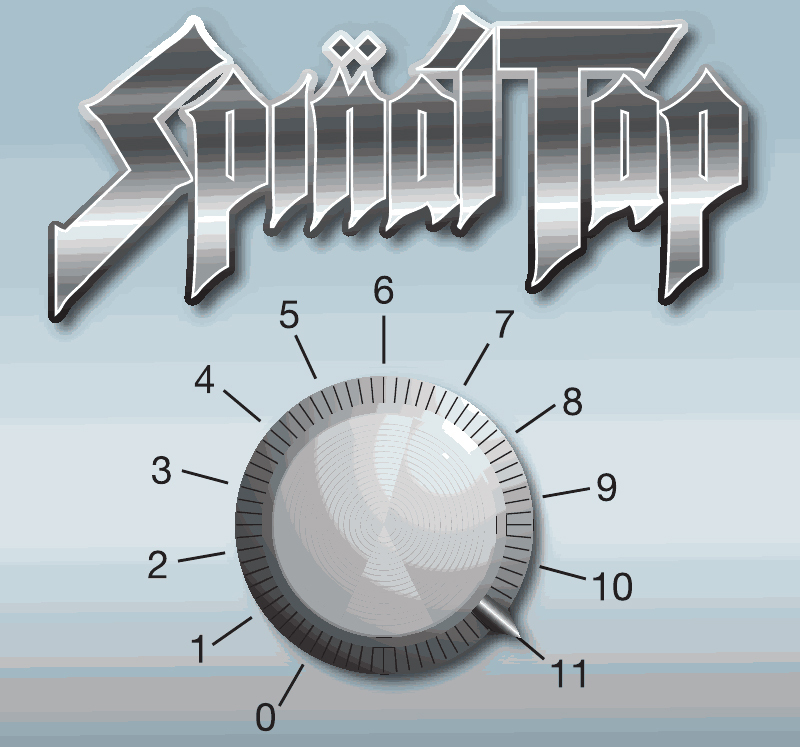 (You must watch This is Spinal Tap if you don’t immediately get this reference.) You may be good, but you can always be better. « Lloyd’s Corner: POCUS makes things so easy, even the patient’s spouse can make the diagnosis!